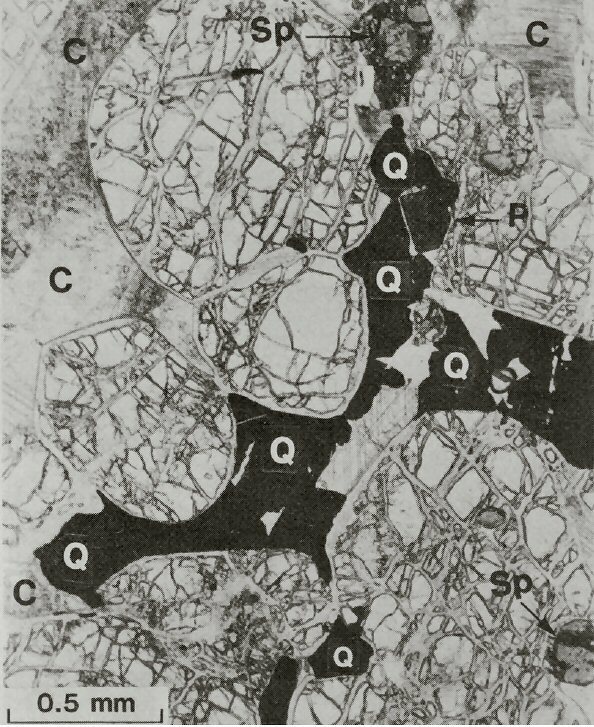 Comments: B&W photograph in plane-polarized light showing rounded fractured serpentinized olivine surrounded by the interstitial calcite (C), qandilite (Q), perovskite (P), and altered Mg,Al-spinel (Sp). (MinMag, v49:739). Location: Forsterite-rich rock in contact with a kaersutite-rich banded diorite from the Qala-Dizeh region, NE Iraq.